Russell, so many senior dogs seem to have health problems today. Why is that? Just like in our previous cat show, I feel there are three main reasons. Keep in mind I am not a vet, so these are just my holistic perspectives. Over vaccination and over medication. Over breeding or poor breeding practices. OK, let us start with your #1 reason, poor nutrition. Fifty years ago, when I was growing up, dogs routinely lived to be 15-20 years old and still be relatively healthy. Since the 1950s, after processed food was introduced to society, the average life expectancy of our dogs has steadily decreased to half that today. Nowadays, people think a 10-12 year old dog is old and senior. The average life span of a Golden Retriever is now 7-8 years old, half what it used to be when I was growing up. So, why do you attribute that to processed foods? Biologists tell us wolves in the wild need 60-80% meat to be healthy. Through DNA testing, we know our domesticated dogs are descendants of wolves and their digestive tract is still very similar. Compare this 60-80% meat to the standard dry kibble diet most people feed today, which is generally only 20-50% meat and as much as 20-80% grains or carbohydrates. Our dogs simply are not getting the basic nutrition they would if they were a wild carnivore to stay healthy. So, if their bodies are not getting the proper nutrition of a carnivore, you feel that is the reason why so many senior dogs have health problems today? OK, let us first talk about obesity in dogs? Here is a simple test for your listeners. Look at your dog’s waist from directly above. Ideally one should see an hourglass figure. In other words, as soon as the ribs end, one should see an indentation in the body that should flair out again as one approaches the hip area. This means the dog is an ideal weight. If one does not see an indentation, then the dog is overweight or obese. That seems simple enough. What else? Now look at the dog from the side. Again, one should see the tummy tuck up just after the rib cage. If the profile is straight across or worse, the belly is distended, the dog is overweight or obese. Margaret wrote an entire newsletter article on obesity in pets, complete with good and bad photos, and references to diagrams on a proper weight profile. It is in our June 2007 e-newsletter available on our website (www.optimumchoices.com/June_2007.htm). Great, will you post that link on my blog? I sure will, as soon as we are done with your show today. So, I assume an obese dog will have all the same health problems an obese human will have. Yes, that is right. Obesity can accelerate any potential arthritic condition, which is my #2 health issue with malnourished dogs, diabetes and heart condition just like in people. Let us talk about your #2 nutritional problem. It is almost a given today that senior dogs will get arthritis. Unfortunately, you are right. 50 years ago, when I was growing up, not all senior dogs got arthritis. The lack of live enzymes, amino acids, natural food antioxidants and Omega oils in processed food today contributes to an acceleration of arthritis in dogs, way before their time. There are many natural food sources of enzymes to help improve digestion, Omega oils to keep the joints flexible and antioxidants to reduce inflammation. But most people wait for symptoms to show up before taking preventative action. One should give all the above nutrients from good meaty foods and whole food products (like algae) while their dog is young to prevent arthritis later. One does not have to wait until their senior dog shows arthritic symptoms and then start buying a bunch of isolated supplements in the hopes of reversing the condition. Diabetes is next on your list of malnutrition consequences. Yes, today’s dog food is loaded with sugars (such as corn syrup, cane sugar, beet sugar) and fillers (such as peanut hulls, beet pulp and soy). None of these foods are native to a carnivore’s diet and they tend to have the same negative effects on dog’s bodies that they do in ours. When I was growing up it was almost unheard of for a dog to have diabetes. Diabetes was a human degenerative disease. Now we have given it to out pets with the convenience of the dry kibble fast-food diet. That brings us to #4 on your list, cancer. Like diabetes, dogs rarely got cancer 50 years ago. But just like when we add fast foods, foods fried in vegetable oil, hydrogenated oils, artificial sweeteners and chemical preservatives to our diet, we are seeing the same results in our dogs, an increase in cancer. Dogs are not getting the high quality meat protein biologists tell us they need, we are substituting grains and carbohydrates, added sugars such as corn and beet pulp: all these are inappropriate ingredients for carnivores. Without the proper nutrition for a balanced endocrine and healthy immune system, we have made our pets more susceptible to our modern day disease of cancer. So, you feel by feeding a good diet to our dogs we can help alleviate the chance for cancer? Is all that not expensive? Let me give your listeners some statistics. Studies today show that nearly 50% of natural deaths in older cats and dogs are attributed to cancer. The initial cancer diagnosis and lab tests could easily run $1-2,000. Together with ongoing cancer treatment, total medical bills could reach as much as $10,000. For an average 10 year old dog, one could spend an extra $83/month over 10 years to keep your dog healthy, rather than $10,000 on cancer treatment and still break even. That is incredible. Only $83/month to help prevent cancer? Spend a little extra each month for good nutritional food and not even worry about which 50% your dog will become? I know what my choice would be for my dogs. Do you offer a natural product that would simplify all those Vitamin C, fish oil, phytonutrients, etc. requirements? Yes, we prefer using one single whole food product instead of buying a multitude of isolated supplements. We add Bio-Algae Concentrates to our dog’s raw meat diet for prevention. These Bio-Algae Concentrates are a blend of four algae species that contain all known vitamins, A, B, C, D, E and K, all ten essential amino acids plus ten non-essential ones, all known minerals and trace elements, all essential fatty acids of Omega 3, 6, 9 plus ALAs, GLAs, DGLAs, DHAs, phytonutrients, over 4,000 enzymes and antioxidants more hundreds of times more potent than Vitamin C and E and much, much more. That would save my listeners money and greatly simplify their lives by using just one holistic product. Yes it would and their pets would be healthier and live longer. Our last pet lived to be over 21 years old on a raw food diet with added Bio-Algae Concentrates. Let us move on to your #2 reason our dogs are not as healthy as they used to be. My #2 reason is over vaccination and over medication. Most veterinary schools and recent research studies now conclude that annual boosters are unnecessary for most pets. They now recommend waiting three years between boosters for the most common dog vaccines. Dr. Ronald Schultz, at the University of Wisconsin, is the premier vaccine researcher in the country. Dr. Schultz states, that the canine distemper and the adenovirus-2 vaccines both provide lifelong immunity and therefore, need not be given annually. So, giving annual vaccinations does not increase or improve the immunity, but they do increase the risks. While vaccines are beneficial to boost immunity to certain viruses, the process of vaccination is very traumatic to the body. Immediately after the vaccination, the body’s immune system will be depressed while the body naturally starts to recover from the shock of the vaccination process. If one gives too many vaccines at once or administers a vaccine to a body whose immune system is already compromised, then the dog could have problems. Vaccinosis is a term used to describe any adverse effects from vaccinations, which can include everything from allergies, to fever, to tumors, to cancer or anything else that results from a compromised immune system. For instance, if your dog has a chronic disease or is for any reason is not completely healthy, it should NOT be vaccinated, otherwise the dog could develop more serious problems. All vaccines carry a label that states “for use in healthy animals only.” Many jurisdictions will accept an exemption letter from your veterinarian attesting to the fact that your pet is at high risk if it is sick or being treated for a disease and cannot be vaccinated. What vaccination policy do you follow for your pets? I will not allow more than one vaccine at a time and no two within a 3-4 week period. I never vaccinate my pets if it is sick or currently receiving veterinary treatment. If my pet had a chronic health condition, I would always consult with my holistic vet to see what additional risks might be involved in vaccinating my pet. I would also investigate if there were any alternatives, such as titer testing and an exemption letter. That all sounds like good holistic suggestions. Do you have anything to add regarding vaccines? Yes, part of the over vaccination, over medication issue I am seeing among our clients is that no one is considering the cumulative picture. For example, a dog will go in for its annual vaccinations and either at the same time or within a short time later be given heartworm medication or flea and tick treatment. Even those neither of these is technically a vaccination, the effects on the immune system are just as traumatic. From my holistic perspective, this over medication can result in health issues breaking out, including a very serious and deadly disease called IMHA or Immune Mediated Hemolytic Anemia. IMHA is a red blood cell disease with a double whammy. First of all, the body is not regenerating any new red blood cells at the bone marrow level, so eventually the body becomes anemic as the glands and organs become oxygen starved. Second, the body’s immune system has gone bonkers and it thinks the remaining healthy red blood cells are bad and starts to destroy them as foreign invaders. That is awful. What is the veterinary treatment and overall results? So, what is a dog guardian to do if this horrible incidence happens? Fortunately, we have an IMHA holistic option using our Bio-Algae Concentrates. Last year we actually had a 65% survival ratio among over 100+ IMHA cases that came to us but that will take a whole other show to go into the details. 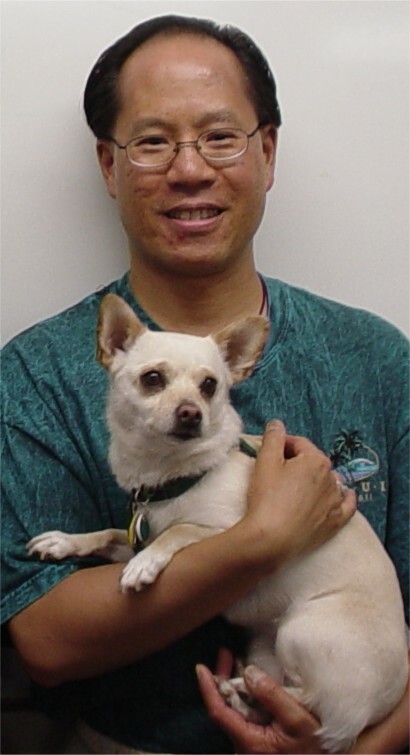 What can a dog guardian do to prevent IMHA? In March, 2010, the EPA began reviewing labels and determining which flea and tick treatments need stronger and clearer labeling statements. The EPA said they will also develop more stringent testing and evaluation requirements for both existing and new flea and tick treatments. Until new guidelines are issued, I simply suggest one not give any medications (including flea and tick or heartworm treatment) within the 3-4 weeks after vaccinations at the minimum. Your final reason that so many senior dogs have health issues was over breeding and poor breeding practices. Can you elaborate? Based on the number of dogs that come to us with health issues, I would say pure bred dogs and “puppy mill” dogs have the most health problems. I am not a biologist and certainly not a dog breeder but it seems to me that breeders are paying very close attention to looks and good structure and not enough attention to the genetic gene pool they are passing on. In other words, if both parents have perfectly looking coats, good bone structure, good facial features and great temperament for their breed but both parents also have thyroid imbalances and allergies, guess what one can expect from the offspring’s endocrine and immune systems? If one is going to purchase a pure bred dog or a dog from at the pet store, originally from a “puppy mill,” then be prepared for higher medical expenses in their senior years. One way is to go to our website, http://www.optimumchoices.com/ and sign up for our free monthly e-newsletters. We have written articles on such topics as, Is glucosamine the answer for arthritis? Healthy water for you and your pets and Whole Food Products vs. Supplements. All past articles are archived online and one can search for a specific topic. If your listeners will check the box at the bottom of the subscription form, we’ll send subscribers a free report entitled What Pet Food Companies Don’t Want You to Know. This report contains 11-points some of which we covered today. How can me and my listeners get a copy? Go to our website http://www.optimumchoices.com/ and click on the e-Books button in the left column on our home page. As a special offer, I will give your listeners a free e-Book with any purchase of BioPreparation for pets or BioSuperfood for people. Just have them enter in the Special Instructions box of our shopping cart, “Wendy sent me” and ask for their free Save Your Dog or Cat e-Book or mention it in their telephone order. 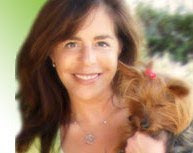 Thank you for sharing your holistic wisdom with my listeners today.For more information on Optimum Choices and holistic options for your pet, go to Russell’s website at http://www.optimumchoices.com/. You can call toll-free 866-305-2306 or e-mail them at info@OptimumChoices.com. Dog supplements can drastically improve canine health, overall dog performance and well-being.